FROM FIVE STAR REVIEW: This is either the fifth or sixth of Dr. Lawrence Gold's books that I have read and I have loved each and every one of them. Dr. Gold never fails to keep my interest, nor does he fail to write a good book. This is a medical mystery. In this book you will learn things, get embroiled in a mystery, and have your funny bone tickled every so often. I started this book today and finished it today. I just couldn't put it down. Arnie Roth, a family practitioner, develops viral encephalitis. 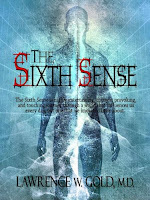 He awakens from the near-death experience with a new appreciation for life and an unexpected talent, his sensitivity to smell has increased a thousandfold. At first Arnie is enthralled with his talented nose as he savors the aromatic delights of his world. Soon, however, Arnie discovers that all smells are not sweet and many come with unsolicited messages that profoundly affect his psyche. Arnie can detect danger, disease, drugs, contaminated food and medications, and he senses when his wife is horny. He smells when people are lying to him. Arnie's nose captures molecules beyond smell, the invisible chemicals that effect human behavior known as pheromones, his sixth sense. Soon the surge of aromas inundates Arnie and puts his sanity in jeopardy. 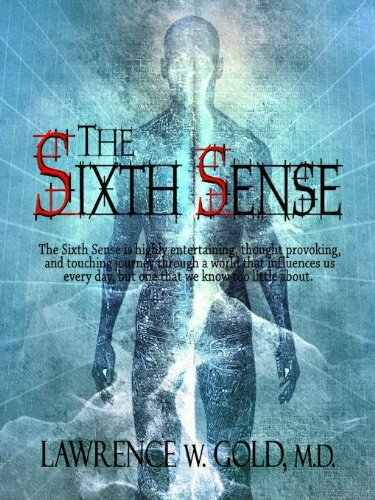 The Sixth Sense is highly entertaining, thought provoking, and touching journey through a world that influences us every day, but one that we know too little about.